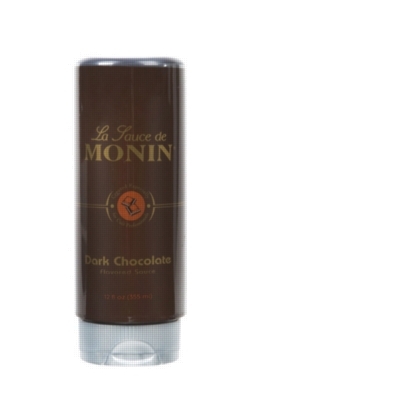 Monin Gourmet Dark Chocolate Sauce contains the finest ingredients and natural flavors. The unparalleled robust flavor of dark chocolate adds velvety richness to your coffee drinks and smoothies. Created especially for cafe professionals. Buy six bottles of Monin Gourmet Dark Chocolate Sauce and save even more per bottle.